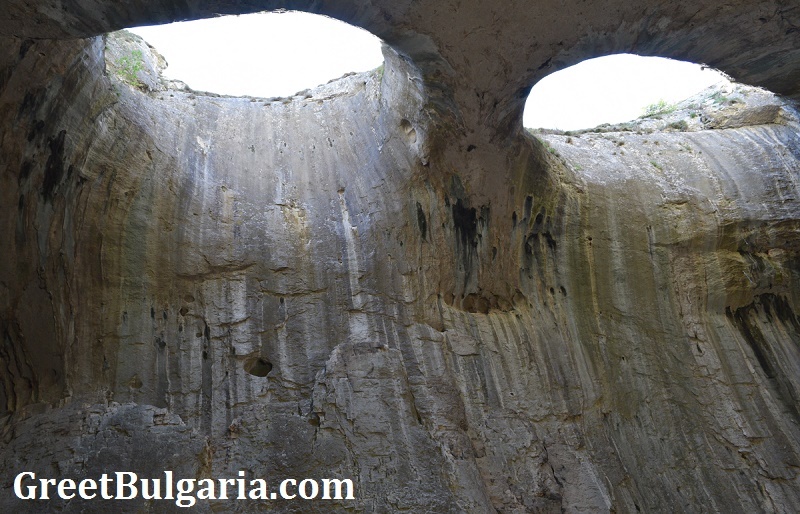 God's Eyes - the longest cave tunnel in Bulgaria - Bulgaria welcomes you! 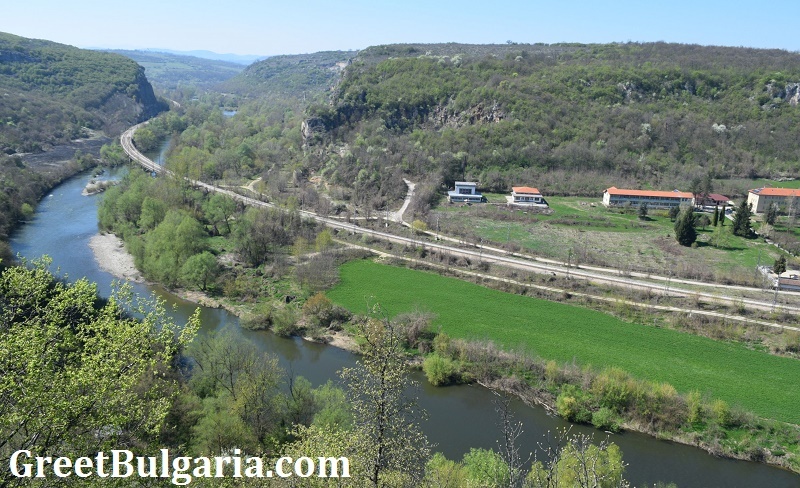 If you are based in Sofia, Veliko Tarnovo or Pleven during your stay in Bulgaria, a great choice for a one-day trip is visiting the longest cave tunnel in Bulgaria and a splendid natural phenomenon – God’s Eyes. Another name for God’s Eyes cave tunnel is Prohodna cave, and this is how you can find it on Google maps. It’s approx 110 km from Sofia and 140 from Veliko Tarnovo. The cave is easily reachable by car – there’s a parking place just 5 mins from the cave so leave your car there. 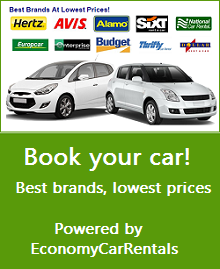 (see recommended car rental options for Bulgaria). You can also reach by train, getting off at Karlukovo village. Have in mind, however, that this railway station is kind of desolate – so you should make your way to the cave on your own (nobody to ask :). You may either take the asphalt road passing above the station and then go through the stone quarry (pretty dusty there!) or climb up what is fairly steep rocks. The tunnel, being pretty picturesque but also 65 m high is a favorite place for bunjee jumps and climbing (see for example AX! Sports (FB page), I have jumped with them a few years ago and can recommend). If you are not a fan of extreme sports – you can plan a walk through he cave and then check out the attractions in its surroundings + have a picnic on the shores of River Iskar. 1. Explore the cave tunnel and then take the road to the nearby House of the Cave (Peshteren dom). 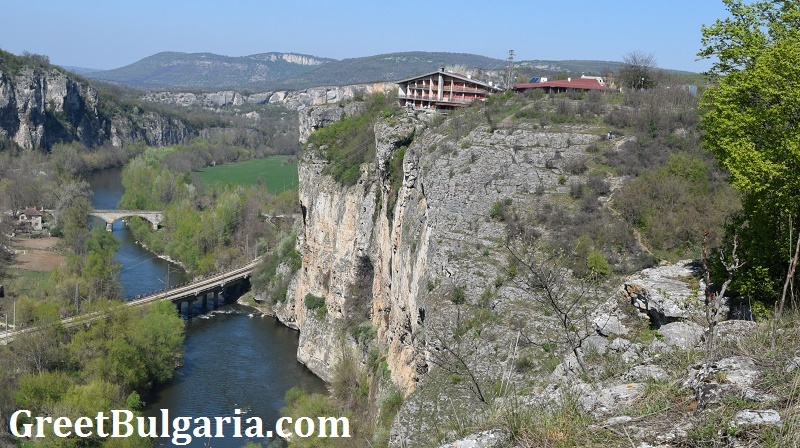 This is a small hotel with a restaurant and amazing views to River Iskar and the caves. The walk is a really pleasant one and totally worth it. 2.Explore the numerous caves in the rocks nearby. 3.Visit the rock monastery St Marina. On the main road, just before making the last turn to the cave parking, there’s an information center. Right after the information center is the sign for the rock monastery. The info center – there is a nice gigantic guide book inside, with info on the region. 4. Make yourself a nice walk in the Canyon of River Iskar and have a picnic along its shores. Try to get away from the noise of the quarry which seems to be working even on weekends! 1.Put ‘Panega park’on your maps and on your route 🙂 It’s just 11 km from God’s Eyes / Prohodna and is an amazing park running alongside a river. Great for walking, sunbathing and – picnic! 2.Visit ‘Saeva dupka’ Cave. it’s just next to the village of Brestnitsa (25 km from God’s Eyes), there are signs to the cave. In Brestnitsa there is also a famous Ostrich farm where you can see Ostriches real close, get a guided tour and also buy ostrich eggs, feathers, etc. 4. 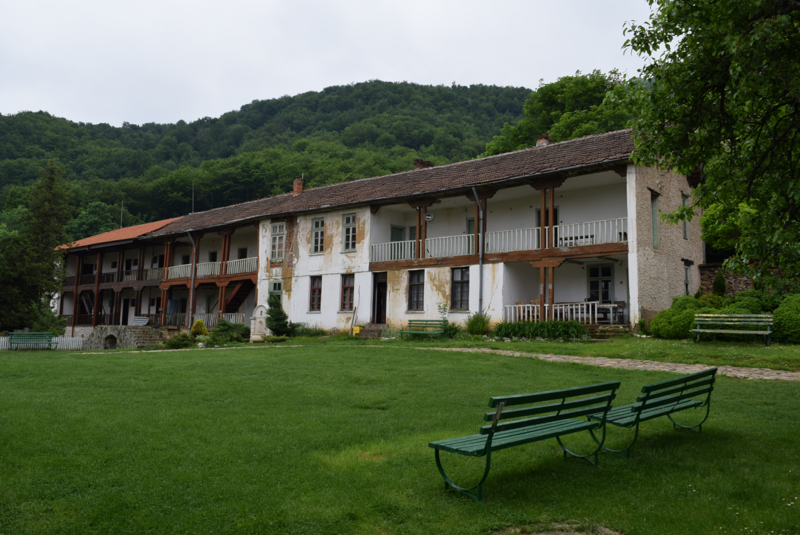 Visit Etropole and the amazing Etropole monastery. Read my dedicated blog post on Etropole here. All sights above are within 1.5 hour drive from both Sofia or Velilko Tarnovo so – would recommend to base yourself in either of those two cities. 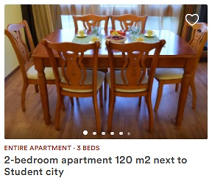 If you’d rather stay somewhere closer – the city of Pleven is ~60 km away. 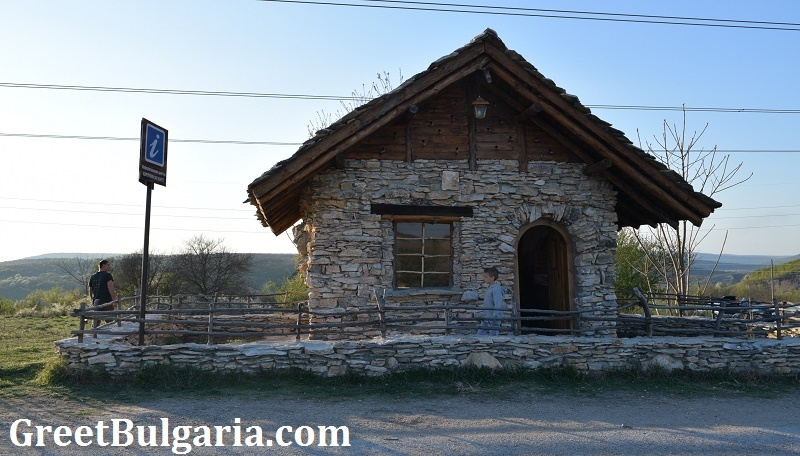 Hope you’ll enjoy this part of Bulgaria, full of natural phenomena and amazing nature! If you have questions or need help with organizing your trip – please message me on GreetBulgaria facebook page.